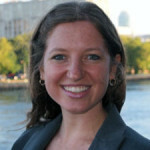 Natali Ganfer is a senior research associate at the Waste-to-Energy Research and Technology Council (WTERT) at the Earth Engineering Center, Columbia University. She provided technical advice for the non-profit Sustainable Waste Resources International. Mrs. Ganfer is a Chemical and Environmental Engineer with broad technical experience, she conducted research at Columbia University on upgrades of landfill gas, feasibility studies on waste-to-energy plant implementation, and waste management systems. Natali has also developed industrial process designs at Universidad de Buenos Aires and conducted a technical study for the Inter-American Development Bank (IDB) on the feasibility to implement Waste-To-Energy facilities in Buenos Aires, Argentina. Mrs. Ganfer has previously worked as an Engineer in First Environment’s greenhouse gas team, providing verification and consulting services for a variety of projects, with a strong focus on landfill projects and greenhouse gas inventories for entities from the power sector, the waste management sector, the financial sector, and the pharmaceutical industry.